Once again Hollywood offering is getting better response than Bollywood movies at Indian box office. This Friday released sci-fi fantasy Thor Ragnarok is leading over the adjacent Ittefaq & Ribbon with good margin. Also it is heading unaffectedly despite the already existing Golmaal Again. 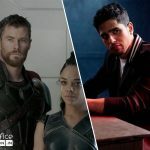 The third installment of Marvel Studios’ franchise Thor, Thor Ragnarok was released with huge buzz and received positive reviews from critics as well as audience. On the opening day, it opened to a good note and did the business of 7.77 crores, which is one of the best openings registered by any foreign movie in India. On the next day i.e. Saturday, Chris Hemsworth starrer took decent growth and minted the amount of 9.43 crores. 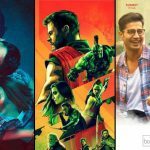 Then on Sunday with further growth, Thor Ragnarok has garnered the business of 10.46 crores and raised it’s opening weekend total collection to 27.66 crores nett. On the other hand, director Abhay Chopra’s suspense thriller Ittefaq is also getting almost positive reviews from critics as well as audience but not showing any impressive performance at box office. On Friday, it recorded slow start and did the business of 4.05 crores. 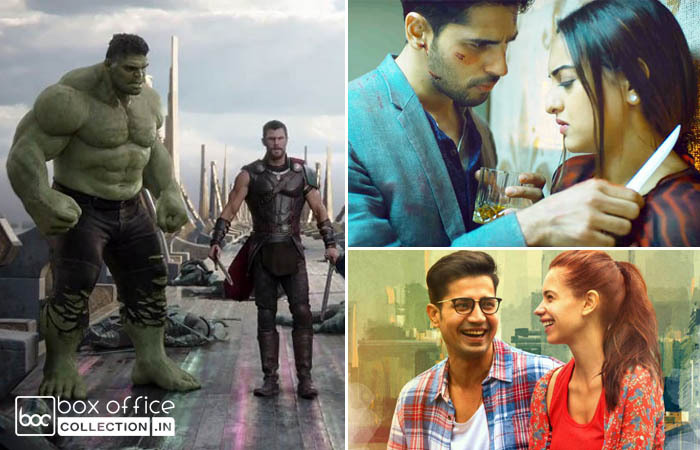 On the second day, Sidharth Malhotra, Sonakshi Sinha and Akshaye Khanna starrer showed fair growth and minted the amount of 5.50 crores. Then on Sunday, it witnessed more growth and added the amount of 6.50 crores to it’s account. With this, it’s 3 days total collection has become 16.05 crores. While the drama movie Ribbon directed by Rakhee Sandilya, has received mixed reviews from critics and also getting the least response among all new releases. On Friday, it did the business of only 0.25 crore with 5-10% of occupancy. Then on Saturday, it collected 0.30 crore with slight growth. On the next day i.e. 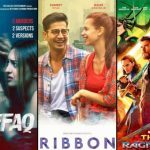 Sunday, Kalki Koechlin & Sumeet Vyas starrer Ribbon remained similar as Saturday and bagged the amount of 0.30 crore. With this, it’s opening weekend total collection has become 0.85 crore at domestic box office.